The location of the project is well connected to the FNG and NH-24,the apartment is low rise G+13 height also provides the AC apartment in living dining or master bed room. Residential Apartment in Sector-110 Noida. Residential apartment available for resale in sector-137 in logix blossom county. This is a 3+1 bhk residential apartment available on 10th floor & presently it is under construction & possession is in dec 2013. Commercial Shops in Sector-18 Noida. After the grand sucess of orange county in indrapuram, aba builders presents ” cleo county”, sec-121,noida. Cleo county seeks its inspiration from the rich built heritage of ancient egypt. The project is located at a very prime location of noida i…. shop for rent in Sector-18 Noida. Residential Land for Sale at Sector 1 Noida. Residential Apartment in Sector-50 Noida. Residential Apartment in Sector-93 Noida. Residential Apartment in Sector-74 Noida. 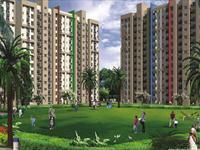 Residential Apartment in Sector-137 Noida. Independent House/Villa in Sector-47 Noida. 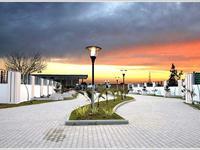 Industrial Lands/Plots in Sector-83 Noida. MOBILE- 9899799000 ON SHARING BASIS FOR GIRLS AT SECTOR-12 WITH ATTACHED BATH ROOMS, BED, MATTRESS, ALMIRA, TV, FRIDGE, GEYSER, COOLERS, RO, EQUIPPED KITCHEN, GUARD. I understand your need……………………… 1bhk flat on ground floor in arawalli apartment sec-52 noida.